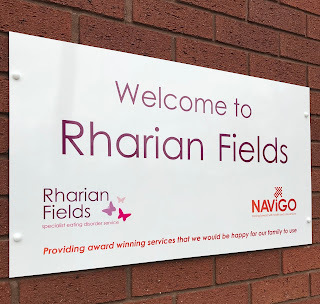 Today I had the amazing opportunity to facilitate a group therapy session at Rharian Fields, which focused on the process of recovery. 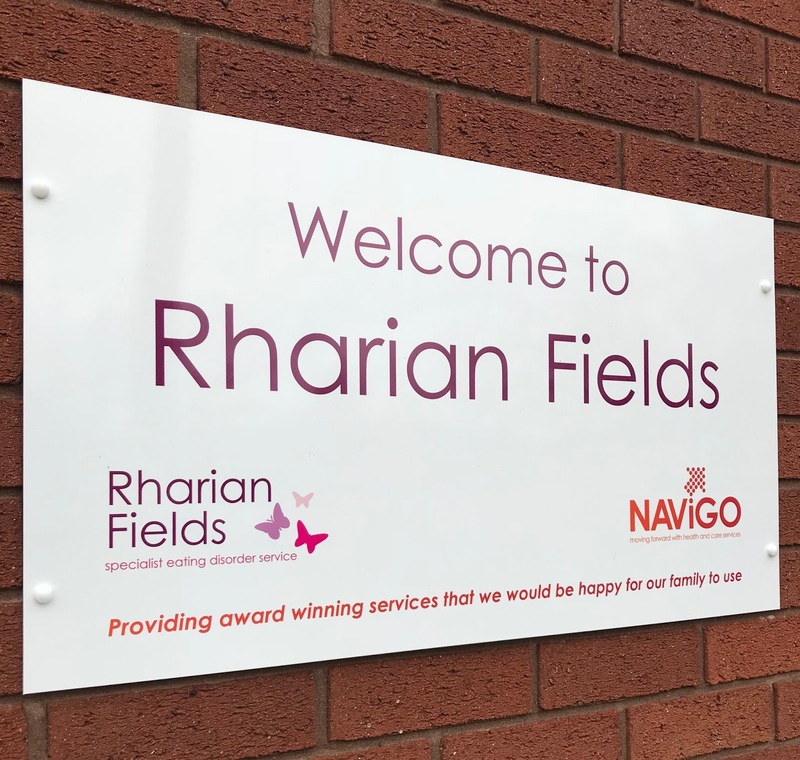 I was invited by a staff member to come in and share my experiences of the challenging but rewarding journey of recovery from an eating disorder, and I could not have been more willing to accept. I am sure we have all been there; listening to someone talking and thinking ‘you really have no idea what I am going through right now.’ I know that feeling all too well. After the lengthy process I endured to find support, the one thing I wanted was the opportunity to speak to someone that knew exactly how I felt. It goes without saying that this was not easily accessible and this made me feel even more lonely. This was one of my motivations for embarking on mental health campaigning efforts, blogging about my journey and trying my best to prevent people that are suffering from feeling alone. Therefore, when any opportunity arises to speak to those individuals, I am incredibly keen to do so. I have visited the unit since being discharged on several occasions, but the butterfly feelings in my stomach don’t seem to subside. There is something about that experience of returning to somewhere that holds so many memories (both good and bad!) that I suppose it is normal to experience those feelings of apprehension. However, as soon as I walk through the door and meet all of the amazing women that helped me to rebuild my life, I suddenly feel at ease and proud of being able to return filled with positivity. Walking past bedroom number 2 is also another moment of racing emotions, but it also signifies how far I have come! Sitting in the therapy room with the wonderful group of current service users was quite surreal. The roles had reversed. Instead of listening to staff and fellow patients, I had staff and patients listening to me! But this was when I experienced what it must have been like for the nurses when they were trying to motivate me. There I was, talking about the fantastic opportunities that life without the control of an eating disorder can offer, praying that the service users would be filled with enthusiasm and motivation to take on the battle of recovery! It suddenly dawned on me that this was what the staff spent 4 months doing to me. Only now can I sense the passion, tainted with a hint of frustration that they must experience. However, I guess the difference is that I know exactly how those lovely individuals are feeling right now. I knew that what I was describing seems unachievable, unrealistic and far-fetched. If I had have had the same opportunity to listen to somebody at the stage that I am at in recovery right now, I would have felt exactly the same. However, there would have been something in me that would have thought ‘if she can do it, I can do it too.’ This is the belief and hope that I pray that the service users have taken away from the group session, because I promise you, if you want it, you can achieve it! This experience was something that I have always dreamed of being able to do. I want to inspire others to not just dream of a life without the grasp of an eating disorder, but to go on and work towards it. I really hope that I can have the opportunity to visit the unit once again and share my experiences to motivate others. As a service user about to be discharge and still really struggling feel I should at this point feel like it is achievable however I can seem to see that road that I can actually walk down that will lead me to the life people say I deserve. I always find myself back walking down my safer path, the one I know and have known for 2 decades now. I wish I can see what others see. I wish I didn't have this constant battle. I really do appreciate your visit to the unit today, Then reality is that if you have done it then why cant I. I now need to look at it as being achievable. Some days seem more than others. I understand how hard it is and praise you for doing really well. The work you do to help others is inspirational.